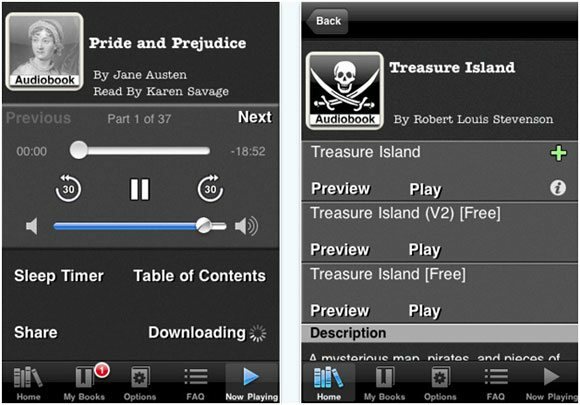 Want access to 3,900 classic audiobooks on your iPhone, iPod touch, and iPad for free? Then you’ll want to get this cool free app called, appropriately, Audiobooks. The app allows you to download audiobooks for offline playback and listen to them whenever you want. 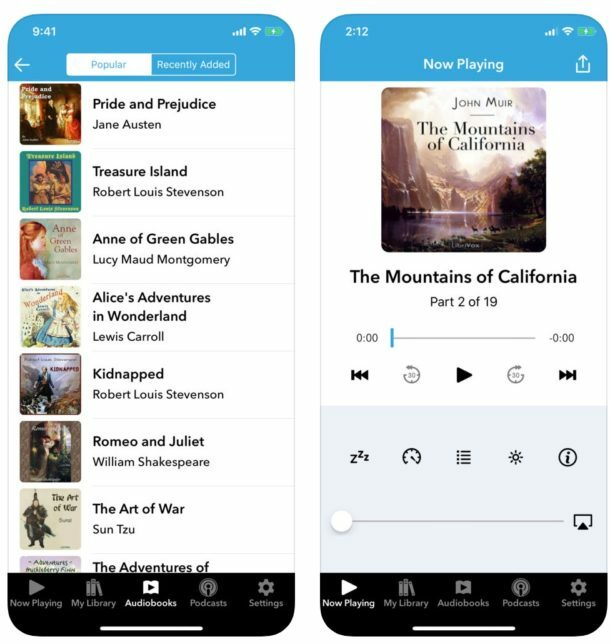 You’ll be able to pour through and search a large collection of classics in audiobook format by genre, author, narrator, by popularity, and more. There’s a few other neat features too, like a sleep timer so you can have the audiobook stop reading if you fall asleep while listening in bed. You can download AudioBooks app for free from iTunes at this link. The app is free and so are the audiobooks you download, though there are in-app purchases for things like removing ads, and for accessing some audiobooks. The app has multitasking support so you’ll be able to listen to the audiobooks in the background too on the iPhone, iPad, and iPod touch, which is a nice touch. The voice quality for most of the books is pretty good, with an occasional harsh accent, this is mostly due to the recordings coming from the LibriVox project which records readers from volunteers around the world. But for a free app and nearly 4000 free audiobooks can you really complain that much? Anyway, if you’re an avid reader and enjoy literature, check it out! This app has been around a little while now and yea some of the voices have strong accents but most are great. I listened to about 4 books on a recent roadtrip and it was really nice. Not bad for a free app, although there are some ads in there. « Future versions of Mac OS X to have Virtual Input Devices?